Arthur Conan Doyle’s rather gruesome story “The Adventure of the Cardboard Box” has his famous consulting detective trying to discover the identity of a pair of severed ears. 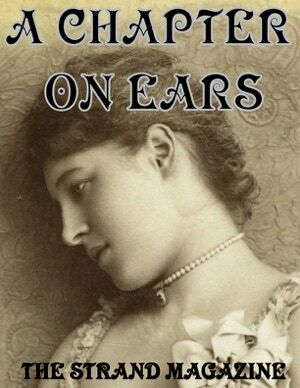 “A Chapter on Ears” was published anonymously a little later in The Strand magazine. The chapter discusses the ear physiognomy of several celebrities of the time. Perhaps this was the work that Holmes was referring to and was written by the great detective himself?